Size: approx. 10 mm. Photo: 04/09/15, 10 pm. 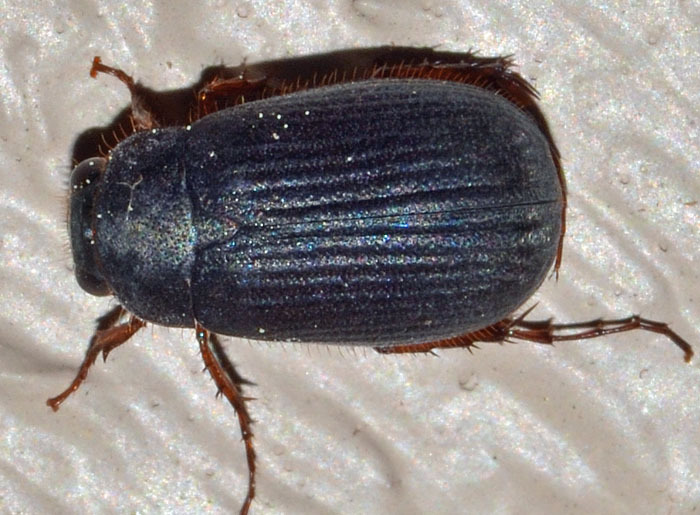 This scarab beetle came to our porch lights but was rather inactive. The genus has about 110 species in North America and is widely distributed in the US. The adult beetle eats leaves.